Happy Sunday RWYK family! Today, we’re celebrating Martin Luther King, Jr. Day and when we were drumming up ideas for who to have on the podcast for this episode, We knew one thing for sure: We wanted to talk to Nic Stone. Nic is the first-time author of a New York times bestseller YA title Dear Martin. 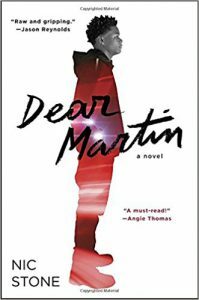 DEAR MARTIN tells the story of a young man who begins a journal of letters to the late Dr. Martin Luther King, Jr. after he is racially profiled, is touching hearts and stirring conversation in light of current events and America’s contentious political landscape. In our exciting interview, we talk with Nic about the book, her inspirations for Dear Martin, Race relations & Social injustice in modern America, her upcoming projects and much more. 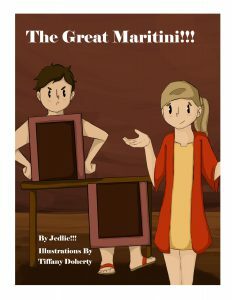 Tune in to find out all about Nic and her book! Justyce McAllister is top of his class and set for the Ivy League—but none of that matters to the police officer who just put him in handcuffs. And despite leaving his rough neighbourhood behind, he can’t escape the scorn of his former peers or the ridicule of his new classmates. What inspired her novel & Why did Nic chose to have her main character, Justyce, write to King, specifically? A big Thank You to Nic Stone for this interview and we’re sure your powerful book will change lives! PreviouslyJingles The Elephant Saves Christmas: Black Santa!